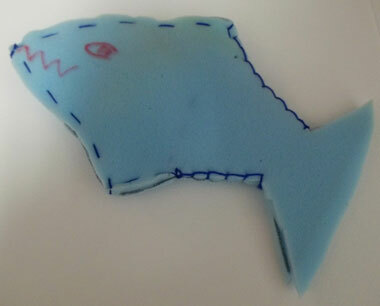 Making a foam fish filled with soap, for child to wash with. 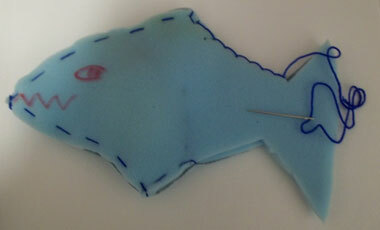 This activity can be completed by a blind or sighted child. 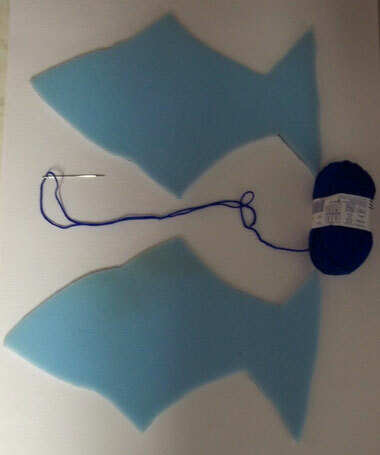 Thin sheet of coloured foam; card cut into fish shape; coloured marker pens; pair of scissors; large darning needles that can be threaded with wool; bar of soap. 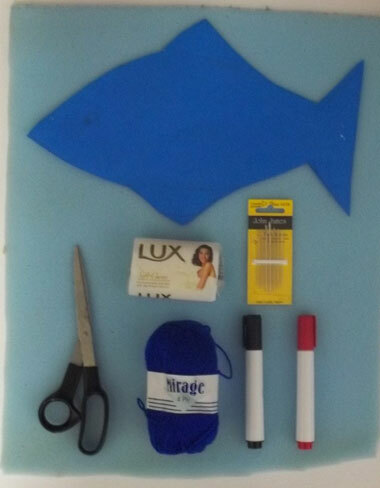 All these items are useful for the children to use in other craft activities and can be donated to the school. 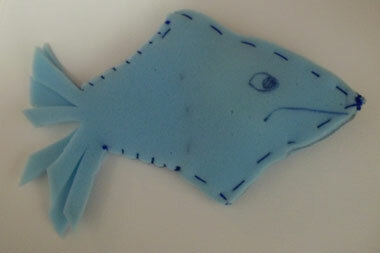 Trace outline of fish onto foam. Thread large-eyed needle with wool. 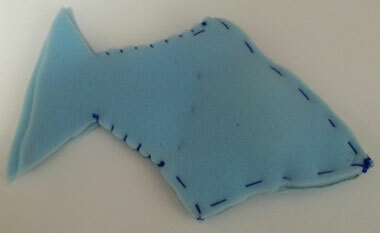 Start stitching the two fish together. 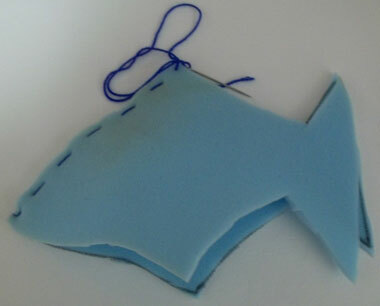 Place soap bar in fish. 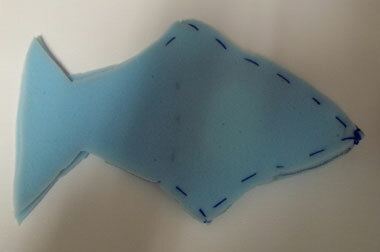 Stitch across fish "tummy" to hold soap bar in place. 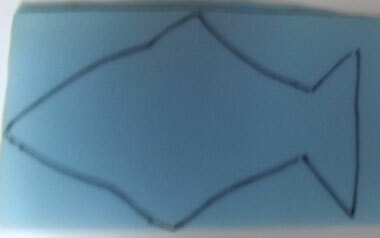 Draw fish eye and mouth on in permanent marker. 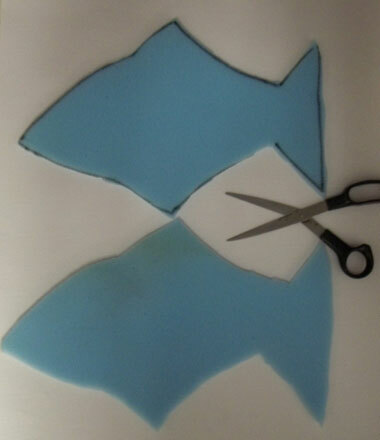 Cut tail to desired shape. 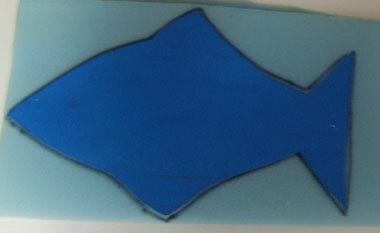 Child can now play with fish in bath or shower and wash at the same time. 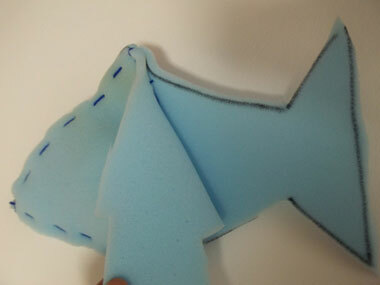 If you have two different coloured sheets of foam, triangular fins of a contrasting colour can be cut and stitched in separately to make the fish more fun.